The region is still the world’s engine for economic growth. “For the next 12 months, two-thirds of the fastest-growing markets in U.S. dollar terms will be in Asia,” Ker said, predicting that Asia would account for seven of the world’s top 15 growing markets through to 2019, led by India and China but also including Indonesia, Malaysia, the Philippines, South Korea and Australia. “Finally the country seems to be coming together in terms of politics and policies…A lot of that is down to the current President Benigno Aquino, who’s surprised with the quality of his administration,” he said. According to Ker, the Southeast Asian island nation is “rapidly emerging as a leader in offshoring, particularly in business process outsourcing,” which would help increase its GDP growth rate to over 6 percent a year over the next five years. With a relatively young population of just over 100 million, the Philippines is also starting to benefit from its “demographic dividend,” he added. However, the Philippines is still set to remain one of the region’s poorer economies, with GDP per capita rising from $2,843 in 2014 to an estimated $4,549 by 2019, in addition to having wide income inequalities. Ker noted the potential for further delays in investments caused by regulatory impediments or corruption, while the insurgency on the southern island of Mindanao is yet to be resolved. Meanwhile, Asia’s other outperformers include the economies of the Indochina peninsula, with Cambodia, Myanmar and Vietnam expected to post rapid growth above 7 percent over the next five years. 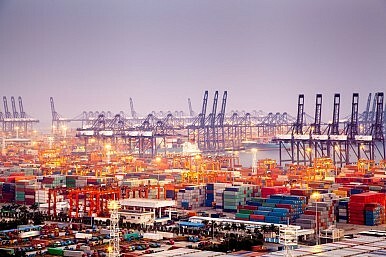 “These economies are very strong in export-oriented manufacturing; they’ve been among the big beneficiaries from China’s manufacturing sector, particularly the low value-added end, which is migrating out of the country in response to rising costs, and much of it is ending up in places like Vietnam, Cambodia in textiles, and Myanmar, which is beginning to gain some ground, helped by the political reform process which has galvanized investor interest,” he said. Indochina has also benefitted from geopolitical competition, with China, India and Japan all ramping up investments to build their influence in the region. Improved growth in Indochina is part of a more robust growth picture for ASEAN, helped by trade liberalization moves such as the ASEAN Economic Community, although Ker said Indonesia had been “somewhat disappointing” due to its protectionism. “Indonesia has the potential to grow at 7 percent plus, but it’s not going to get there if it continues to impose these protectionist tariffs designed to support domestic industry. If we’ve learned anything from the past 20 years in Asia’s growth story, it’s that protectionist tariffs rarely end up supporting domestic industry – more often their impact is to curb competition and support domestic monopolies, which increases the tendencies toward corruption,” he said. Looking at Asia’s “big three” economies of China, India and Japan, Ker said a remarkably similar theme was apparent. “You have governments in office that came in after administrations known for not doing much in policy reform…The new governments came in with big promises about reforming economies, galvanizing their countries, but in all three the actual changes are not really living up to the hype that the leadership has presented,” he said. China is expected to grow GDP to over $15 trillion by 2019 compared to U.S. GDP of more than $21 trillion, but with per capita GDP remaining relatively low, rising from $7,636 in 2014 to $11,228, and with significant regional disparities. According to the EIU, China’s eastern seaboard is expected to enjoy significantly higher living standards, while the fastest growth through to 2019 is forecast in large inland cities, especially those along the Yangtze River delta. “Under [President] Xi Jinping, we’ve seen financial sector liberalization moving quite well…but we don’t see much happening in reform of the state-owned sector, which the government has talked about a lot but doesn’t seem able to do much,” Ker said. China also faces risks to its outlook, including overbuilding in its property market and oversupply in a range of industries, with even the hint of problems enough to rock global stock and commodity markets, he said. India is forecast to overtake China as Asia’s fastest growing major economy this year, with GDP expected to rise from $1.9 trillion in 2013 to $4.2 trillion by 2018. However, GDP per capita will remain relatively low, rising from $1,556 to $3,250 over the same period, with the South Asian giant still home to around 40 percent of the world’s poorest people. “[Indian Prime Minister Narendra] Modi has said an awful lot, and obviously has very big ambitions, but in terms of what he’s actually been doing probably the most important thing we’ve seen is the concept of devolving authority to the states and making them testing grounds for reform,” Ker said. “There are exciting things being talked about, like nationwide VAT which would be hugely beneficial to the business environment. But on bigger reforms like land and labor, we may have to wait some time,” he said. For the world’s third-biggest economy, Ker said Japan had made “huge moves” in stimulating its economy under Abenomics, but with more modest progress in areas such as labor market and corporate governance reform. “But on the overall economic liberalization picture, we’re still waiting for the big bang. That might come as a result of the TPP [Trans-Pacific Partnership] talks. If that succeeds in opening up the economy, particularly the agriculture sector, we have some potential for significant reforms,” he said. Despite Asia’s relatively rosy picture, Ker pointed to some “old challenges” including conflict in the Afghanistan-Pakistan region, territorial disputes involving China and its neighbors, corruption and poor infrastructure outside the advanced economies. The feared “middle income trap” also remains an issue for South and Southeast Asia, requiring improvements in education and insitutional structures, he said. However, he also pointed to “new opportunities” including China’s ‘One Belt, One Road’ infrastructure program, the AEC and the TPP, which if successful would be a “real ground shaker” in Asia, particularly if China joined. Can Asia remain stronger for longer? While the United States continues its post-global financial crisis recovery, gloom in Europe and elsewhere has made Asia’s continued growth increasingly vital for a struggling world economy. The region’s main growth driver is stalling. Here’s what to do about it.